South Korea has finished in second place at the women's world hockey championship in Italy, after a rout in its final round robin game. The 17th-ranked South Korea pounded on world No. 22 Poland 9-2 at the International Ice Hockey Federation (IIHF) Women's World Championship Division I Group B tournament in Asiago, Italy, on Saturday (local time), with defender Marissa Brandt scoring four goals to lead the charge. 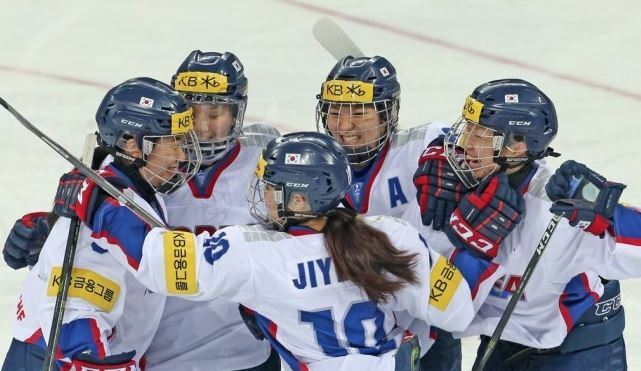 After earning 11 points on three regulation wins and one overtime win, South Korea still finished one point shy of the title at the third-highest level of the IIHF women's championships. Host Italy finished at the top with 12 points, thanks to a 1-0 victory over China in its finale on Saturday. By virtue of winning the Division I Group B title, Italy earned a promotion to the Division I Group A competition next year. This was South Korea's first appearance at the Division I Group B event. It reached this level after winning the Division II Group A tournament at home last year. 4:34 in the first, Brandt -- a Korean-born U.S. adoptee -- got to work, with goals at 12:25 and then 17:48. With South Korea leading comfortably 5-1 after goals by Cho Mi-hwan and Grace Lee in the second period, Brandt completed her hat trick with 1:12 left in the frame. After stealing Poland's clearing attempt at the left point, Brandt moved deep into the offensive zone, and then poked home a rebound after Choi Yu-jung snapped a shot from the blueline. Poland got another goal back to make it 6-2 at 11:02 mark in the third period, but Brandt put South Korea up by five again with her fourth goal of the day at 13:00. Grace Lee and Park Jong-ah rounded out the scoring for South Korea, which outshot Poland 43:21.